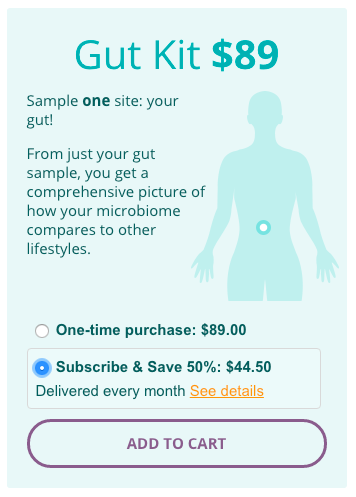 A monthly checkup for your gut microbiome. For less than $45. The bacteria in and on your body are constantly shifting in response to your diet, lifestyle, and health status. Why not check in on them once a month to see how they’re doing? We’re happy to report that until tonight, subscriptions on uBiome kits are 50% off. Get yours started today, and watch the snapshots shift. Like if your bacteria had Instagram.